Earlier this month, international recording artist, frontman for Black Eyed Peas, entrepreneur and philanthropist will.i.am hosted his sixth annual TRANS4M event in Hollywood benefitting the i.am.angel Foundation, which raised more than $1.6 million dollars on February 9, 2017. Proceeds from the evening benefit the i.am.angel Foundation’s mission to continue to accelerate TRANS4Mation in the communities of Boyle Heights/East Los Angeles, Watts/South Central Los Angeles, and Ferguson, Missouri through promotion of STEAM education (science, technology, engineering, arts and math) access for students in these under-served communities. 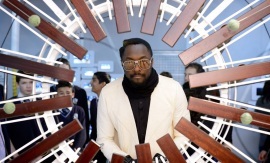 The TRANS4M Gala event is part of will.i.am’s larger mission to drive positive transformation in the Boyle Heights neighborhood of Los Angeles where he grew up. Founded in 2013, the number 4 in TRANS4M represents the four pillars and driving forces involved in improving the state of chronic societal problems: business, government, non-profits and community volunteers. 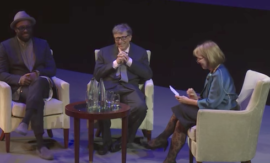 The intimate evening that hosted 500 guests from the worlds of technology, venture capital, virtual reality, entertainment and philanthropy took place across two locations. Starting at The Future, will.i.am’s creative compound in Hollywood hosted a VIP reception featuring student demonstrations of robotics, ESRI GIS mapping, and app development projects. Reception entertainment was provided by Parker Lane and DJ Sean Patrick. 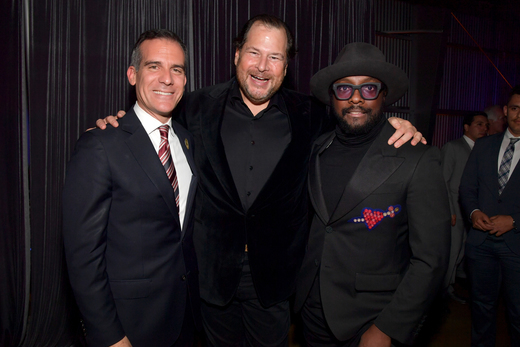 Immediately following the reception, guests moved to Milk Studios for the gala dinner by Winsome Restaurant that featured a Q&A between will.i.am and TRANS4M 2017 honoree Salesforce Chairman & CEO Marc Benioff, remarks by City of Los Angeles Mayor Eric Garcetti, and a performance by Black Eyed Peas. The after-party featured a DJ set by Ali Shadeed Muhammad from A Tribe Called Quest, who capped off the evening. A live auction featuring unique experiences donated to support the evening included: a safari at Richard Branson’s Mahali Mzuri Lodge in Kenya; VIP tickets to The Roots at the BottleRock Music Festival; tickets and meet & greet with Chris Rock at The Total Blackout Tour; tickets and meet & greet with Dave Chappelle a the NBA All Star Weekend; VIP tuition at Singularity University, and private movie screening at FOX Studios. i.am College Track continues to drive positive results for students attending under-served schools in Boyle Heights/East Los Angeles, Watts/South Central Los Angeles and Ferguson, Missouri. The Class of 2016 that graduated this past May includes 45 students, 98% are now attending College and 4 year Universities. 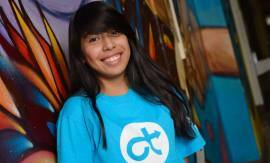 The i.am.angel Foundation supports its student scholars that are now attending college. The foundation also provide scholarship assistance to help students graduate from college debt-free. 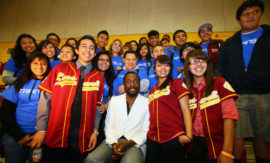 will.i.am created the i.am.angel Foundation to TRANS4M lives through education, inspiration and opportunity. The private foundation was launched in 2009 with a mission to provide assistance to needy college-bound students, and now supports programs that provide college scholarships (i.am scholarship), college preparation (i.am College Track), and opportunities in STEAM education (Science, Technology, Engineering, Arts and Math). To learn more about the foundation, please visit www.iamangelfoundation.org.